February 13, 2018—The Smart Museum of Art announces the creation of the Feitler Center for Academic Inquiry, a new center that will integrate object-driven inquiry into the educational mission of the University of Chicago. Housed at the Smart and led by newly appointed director Issa Lampe, the Feitler Center is named for Joan (AM ’55) and Robert Feitler (Lab ’45, X ’50) in recognition of a $5 million gift and decades of service to the University and the arts. The Feitler family’s gift joins a $5 million bequest from Paul and Miriam Kirkley (which established an acquisitions endowment in 1999) as one of the largest gifts in the Smart Museum’s history. The Center will provide a resource for UChicago students, artists, and faculty and will be a destination for scholars and community members to engage in interdisciplinary research, learning, and conversations driven by the study and experience of original works of art. Joan and Bob Feitler were instrumental in establishing the Smart Museum in memory of Joan’s uncles, David and Alfred Smart. The Smart brothers built an innovative publishing business in Chicago—launching magazines like Esquire, Gentlemen’s Quarterly, Coronet, and Verve—and produced iconic educational films through Coronet Films. Joan is former chair of the University of Chicago Women’s Board and Bob is emeritus Chair of the Smart Museum’s Board of Governors, having led the Board from 2007 to 2012, and an Emeritus Trustee of the University of Chicago. In 2011, the Feitlers received the University of Chicago Medal, which recognizes distinguished service of the highest order to the University. “Inspired by the visionary leadership of Ali Gass, this is the absolute right moment for a transformational gift to deepen the possibilities for academic inquiry,” said Pamela Hoehn-Saric, chair of the Smart Museum’s Board of Governors. Led by Issa Lampe, the Feitler Center will create opportunities for object-driven inquiry across disciplines—from Art History to the physical sciences—and at every level of study. “I’m thrilled to join the Smart Museum and look forward to building upon its forty-year legacy in the world of academic museums. The Smart has the distinction of being among the first generation of academic museums to receive a grant from the Andrew W. Mellon Foundation in the 1990s (now endowed). This generous gift from the Feitler family will enable us to develop additional programs to support the teaching and learning of faculty and students at the University of Chicago,” said Lampe. Lampe comes to the Smart Museum from the Yale University Art Gallery, where she was the Bradley Senior Associate Curator for Academic Affairs. She holds a PhD in the History of Art and Architecture from Harvard University with a focus on late eighteenth- and early nineteenth-century French painting. Lampe began her career as an Assistant Professor of Modern Art History at The American University in Washington, DC, before developing a professional interest in museum education for university audiences. 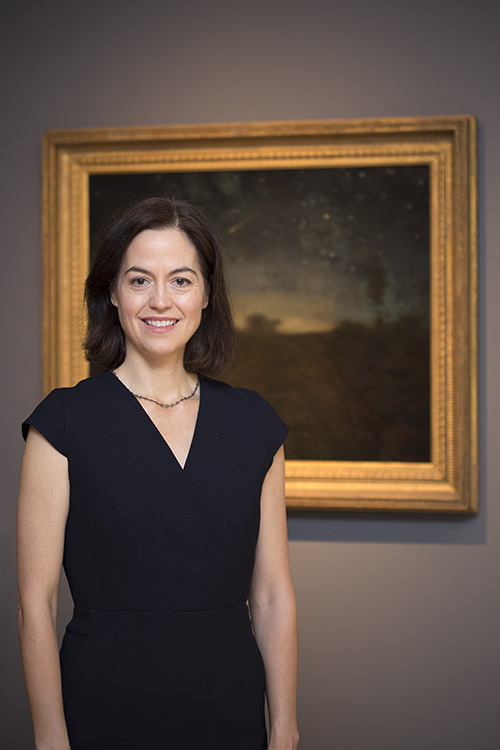 After a few years at the Indiana University Art Museum, she served as Associate Museum Director and Senior Director of Academic and Public Engagement at Stanford University’s Cantor Arts Center. Lampe has taught courses at five universities while building academic programs, curating, and leading gallery conversations for a range of audiences in university art museums. 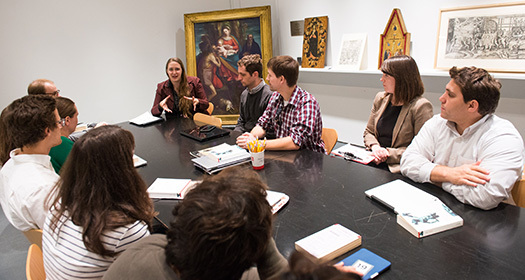 An early goal of the Feitler Center will be to introduce every student in the College to the practice of close looking at original works of art through an expanded program of curricular visits to the Smart Museum’s study room, which accommodated 130 University class visits and over 2,000 students in the 2016–2017 academic year. The Feitler Center will build on a foundation of existing academic initiatives at the Smart. They include more than two dozen faculty-curated thematic exhibitions based on the Smart’s collection and a number of related catalogues that featured essays by dozens of faculty members and first-ever publication credits for students. These academic programs began in 1992 with a grant from the Andrew W. Mellon Foundation and subsequently expanded through a series of endowment challenge grants. Through the Feitler Center, an expanded exhibitions program will provide additional opportunities for faculty-curated exhibitions at the Smart Museum that are designed around the curriculum, student-curated exhibitions where students learn to advance their ideas through the medium of the Museum, and major scholarly exhibitions that advance research in a particular area, accompanied by major publications. Other programs will integrate the study of objects into the curriculum across campus and will share faculty research with the Smart’s broader public audiences. Lampe will begin at the Smart on February 13, 2018. Ada Palmer leads a discussion in the study room in 2016. Issa Lampe. Photo courtesy of Jessica Smolinski, Yale University Art Gallery.